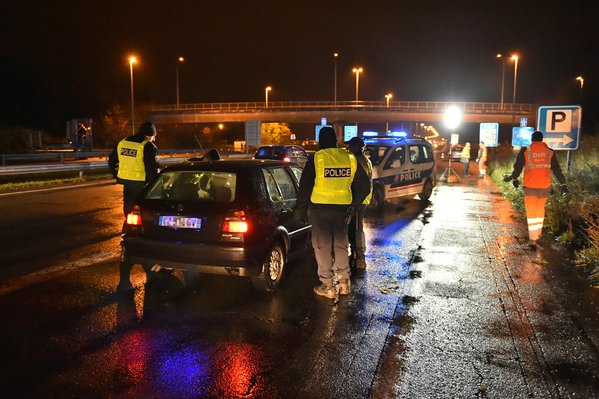 Border delays make a noticeable return as the EU authorises another six months of checks – but French controls are not included, and neither is the Brenner Pass. Also, Brit seriously injured in wrong-way crash near the Nurburgring. Gumball arrives safely in Romania as next year’s route is announced. Formula E’s Moscow race cancelled over road closures and traffic management. A further six months of possible border checks but France and Brenner not included. Border delays have not been an issue for some weeks, but as five countries are granted permission from the EU to extend checks, queues have magically reappeared. They never completely went from the E17 Kortirijk-Lille border but have been noticeably present the past week with drivers waiting an average of around 20 minutes. Most notably E19 Mons-Valenciennes, also in northern France, has seen long delays in the past couple of days, topping out at 60 minutes yesterday (Thursday). The three motorway border crossings between Austria and Germany have been almost free flowing recently. But drivers at Salzburg, and on the A8-A3 towards Passau, have regularly been delayed for up to half an hour this week (and for 45 minutes at Salzburg today). There has been no sign of queues on the Atlantic and Mediterranean motorway connections between France and Spain – but the Austrian border with Hungary has seen consistent new delays of 45 minutes. On Wednesday, the EU authorised an extension of checks for a further six months, specifically at: the Austrian land borders with Hungary and Slovenia; German controls at the Austrian border; at Denmark’s ports and land border with Germany; at Swedish ports and the Oresund Bridge; and Norwegian ports. French controls are in place – or have been – due to its national state of emergency, rather than a suspension of the borderless Schengen Zone code, at least until 26 May 2016. The highly controversial proposed border checks at the Brenner Pass between Italy and Austria were not included in the Commission’s statement either. The Commission says Brenner checks would have to be part of a separate notification, and would need to start the process from scratch. They had been due to start at the end of May. update: EU Commission President Jean-Claude Juncker said on Saturday (7 May) that, ‘Everything that blocks the Brenner Pass will have not just serious economic consequences, but most importantly heavy political consequences,’ according to Euractiv. At the same time, ‘No Borders’ protesters blocked the Brenner Pass road in the afternoon, and the railway line, in violent clashes with police which saw riot vans and tear gas deployed, the latest in several such scuffles. roundup: GERMANY. A British man suffered life threatening injuries in an apparent wrong-way accident near the Nurburgring this morning. The 38 year was airlifted to hospital after the head-on crash on the B412 at Kaltenborn, around 10km from the circuit reports The Local Germany. His silver BMW was pictured upturned at the scene. The other driver involved was taken to hospital with believed minor injuries. FORMULA E. The planned all-electric single seater race planned for Moscow on Saturday 4 June has been cancelled. The FIA says, ‘Together with the local authorities, Formula E has taken the decision not to race in the Russian capital due to recent and unforeseen circumstances related to road closures and traffic management.’ It’s not clear precisely what lies behind that statement – we’ve enquired with contacts in the Russian capital and will update as and when. Formula E tried unsuccessfully to replace the Moscow date with a race in Monaco, it says, meaning the season has been cut down to ten rounds including two races in London on 2-3 July and the next event in Berlin on 21 May. ← Which is Worse: Gotthard or Mont Blanc?